Recalibration of the ECU may be required when using this intake manifold design with OE ECU. Holley EFI LS main harnesses have a map sensor connecter designed for use with an LS1/2 style map sensor. The 558-416 is an adapter harness that can be used to adapt any LS harness that uses a LS1/2 MAP sensor connection to a LS3 MAP, which is recommended for this manifold. NOTE: these manifolds & fuel rails are designed to accept Bosch Style EV-1 or Magneti Marelli Pico fuel injectors (OE LS fuel injectors may not fit properly in the intake manifold & fuel rail assembly). *** The front and rear height measurements listed in the Specs section are referencing the overall height with the top plate installed. Please see the diagrams in the product images for other dimensions. 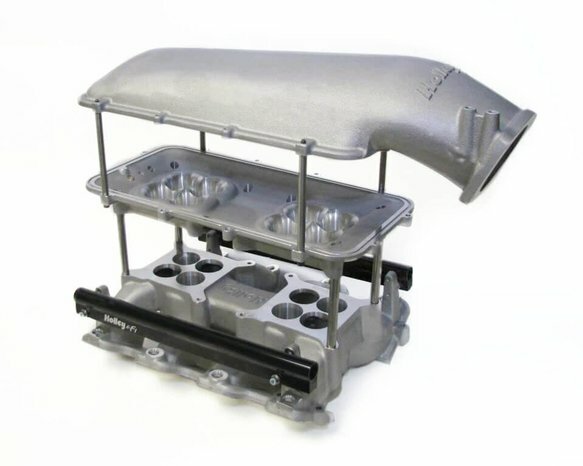 The Modular Mid-Rise intake utilizes the popular Holley LS1/LS2/LS6 cathedral port Mid-Rise 2 x 4 intake manifold along with a purpose built plenum base adapter and a Holley 92MM EFI plenum top which converts it into a Mid-Rise EFI intake manifold. 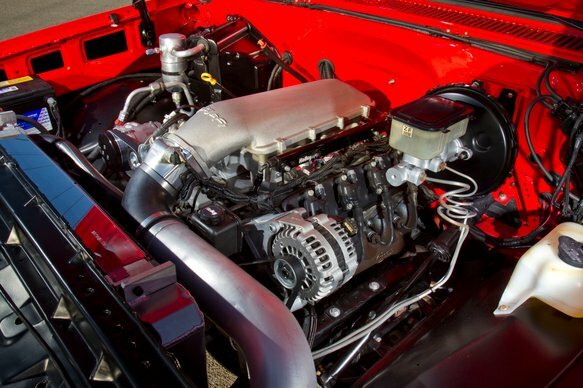 With a max overall height of only 10.44", the Mid-Rise manifold is an excellent choice for street and performance street/strip applications with a powerband from 1,500-6,500 RPM and limited hood clearance. 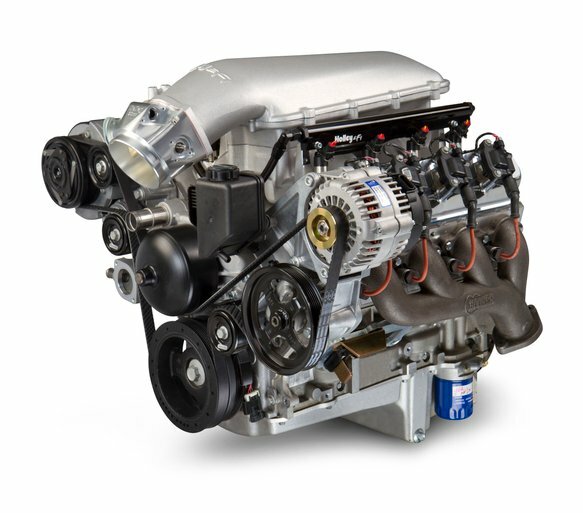 It's perfect for turbocharged, or normally aspirated applications. 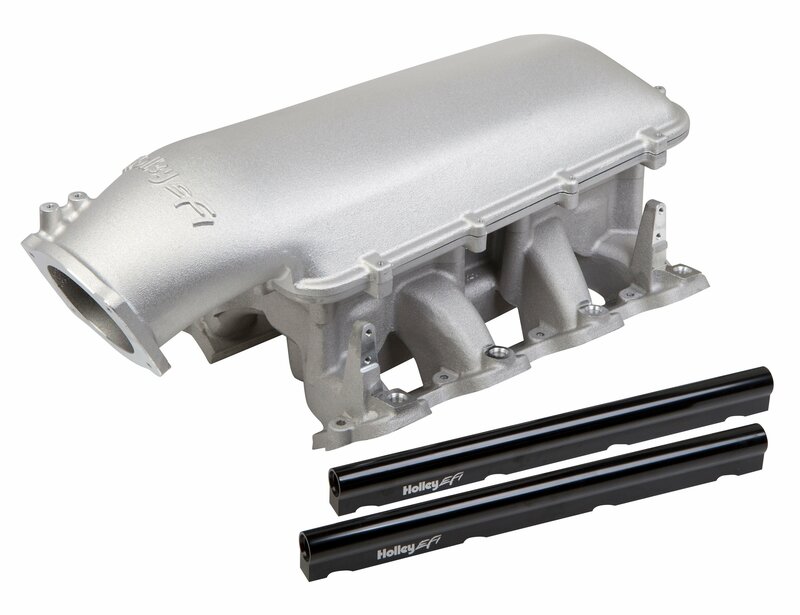 This manifold is modular, and the plenum adapter (PN 300-231) will accept all of the popular Holley LS Hi-Ram plenum tops as a foundation for custom induction systems. *** The front and rear height measurements listed in the Specs section are referencing the overall height with the top plate installed. Please see the diagrams in the product images for other dimensions. May require an aftermarket hood for some vehicle applications. 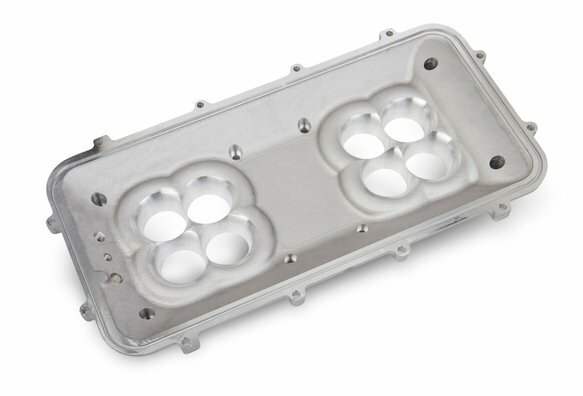 Intended for use on all GM LS Gen III or IV engines equipped with LS1/LS2/LS6 style cathedral port cylinder heads (recalibration of the ECU may be required when using this intake manifold design with OE ECU).